Periodontal disease affects millions of people in the United States, often increasing the risk of adult tooth loss. In order to protect your smile, we offer a scaling and root planing in the early stages of inflammation. Do you need a deep cleaning? How do you recognize the warning signs of gum disease? Plaque buildup, along with tobacco use, can lead to gum inflammation. Also known as gingivitis, this stage can often lead to gum disease unless treated in a timely manner. To reverse inflammation, we may need to perform a deep cleaning. 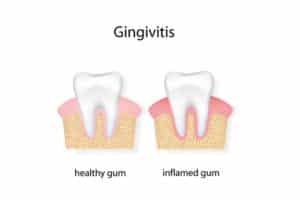 The warning signs of gingivitis include soreness in the gums, redness, and bleeding when you brush or floss. If you recognize these symptoms, then schedule a visit with your dentist right away. While gingivitis can be reversed, gum disease can only be managed. Also known as scaling and root planing, the procedure involves removing the plaque from the surface of the teeth and below the gum line with an ultrasonic scaling device. The procedure can be completed in a single visit, or if the buildup is severe, multiple ones. We will assess the severity of your plaque buildup and address any concerns before we begin the treatment. How Do I Avoid the Onset of Gum Disease? After having your smile treated, you should schedule a visit every six months for routine checkups and cleanings. A cleaning will help prevent serious plaque buildup. In addition, you should also brush your teeth twice a day and floss once a day. We also suggest avoiding tobacco products, as they can worsen inflammation. If you have any questions about treating and preventing gum problems, then contact our office today.